In most protein labs, dynamic light scattering, or DLS, is used for fast and simple size measurement. While it can be a valuable addition to the biologist’s toolkit there are devils in the details – waiting to mislead your results. Here we explore seven pitfalls of DLS and how you can avoid them. One of the more widely known quirks of DLS is that the intensity of the light scattered is proportional to the sixth power of the particle diameter (1). In simple terms, this means that larger particles are more represented in the result – so a small amount of oligomerization or aggregation can give a large skew in size. If detecting aggregates is not the primary aim of your experiment, these should be removed so that they do not flood the results. This can be done by filtration or centrifugation, provided there is sufficient volume and these processes do not alter the sample. However, even after a removal step, aggregation can be triggered by buffer changes while preparing the sample for testing, or transfer into the test cell itself (1). An alternative to removing the aggregates is to dilute your sample so that their relative influence is reduced. One study remarked that smaller particles were observed in a solution with aggregates after dilution, but also noted that dilution can influence aggregate stability in and of itself, potentially disrupting the results (2). Dilution can also influence the size reported due to the concentration dependence of sizing – but more on that later. A knock-on effect of aggregates and large species being over-represented in the results is that small species can be unrepresented so much as to be masked. One study analyzing a small peptide which aggregates to form larger threads observed 92.1% of the signal intensity was caused by particulates accounting for just 0.002% by weight (3). Another tried to measure the small peptide oxytocin using DLS and found it unsuitable, as the data was dominated by the light scattering of other particulates in the sample (4). This illustrates how analysis of a small species can be impeded by even miniscule amounts of larger contaminant. To obtain an accurate size result, the viscosity and refractive index of your sample should be accounted for. This is often overlooked, with standard values being applied for speed and ease, but it can have a dramatic effect on results. One study found that applying viscosity correction shifted the two peaks observed in a DLS test from 4 and 57 nm to 2 and 32.5 nm respectively (2). While databases of viscosity and refractive indices for a range of solvents exist, these are almost always for pure solvents. 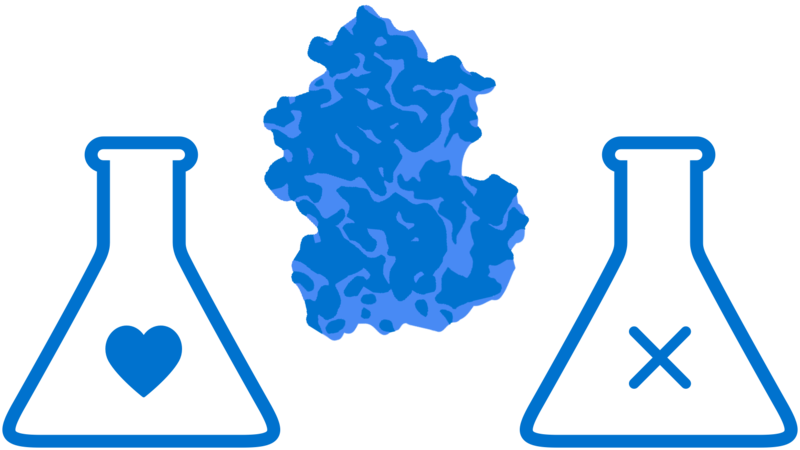 In protein buffers additional excipients such as reducing agents, detergents, and ligands will all impact both values. Values can be measured for each buffer used, but this is time consuming, requiring a series of experiments before you perform the DLS measurement – with either capillary or falling-bead viscometers and a refractometer. Even after measuring these values it is worth remembering that viscosity varies with temperature. In practical terms this means that in cooler temperatures, solvents become more viscous, and so solutes will have smaller diffusion coefficients and therefore larger hydrodynamic radii are reported (1). While some DLS software corrects for this in standard solvents, there is again the potential for issues in buffers with added components. In these instances taking a reading at the same temperature that viscosity was measured is the safest option. For two species in a polydisperse mixture to resolve separately in a single DLS measurement, they should be significantly different in size. The exact degree of difference can vary by make and model of instrument, but literature suggests that approximately a three-fold difference in diameter is required to baseline resolve two species (1) (5) – this is equivalent to around an eighty-fold difference in molecular weight. This has impacts not only in detecting unfolded species, but in observing oligomerization (6) – which can be crucial in the proper function of many proteins. Separation methods such as size exclusion chromatography (SEC) can be employed to separate different species prior to measurement, but these add to the time and workload required to obtain the size reading, and have their own associated technical challenges. A lesser known drawback of DLS is that the size reported is dependent on concentration. This is attributed to multi-scattering – where light scattered by one particle interacts with other particles before it reaches the detector, losing intensity in the process. This results in higher concentration samples being artificially reported as smaller. Conversely, a sample which is too dilute may not scatter enough light to analyze (5). With many different components in the sample and solvent contributing to the result, it is nearly impossible to state the concentration required for a specific sample – user manuals normally state recommended ranges in terms of photons detected or signal to noise ratio. In practical terms measuring a serial dilution can allow the optimum concentration for a specific sample to be determined. As discussed previously however, dilution can reduce the stability of aggregates and overall size distribution. 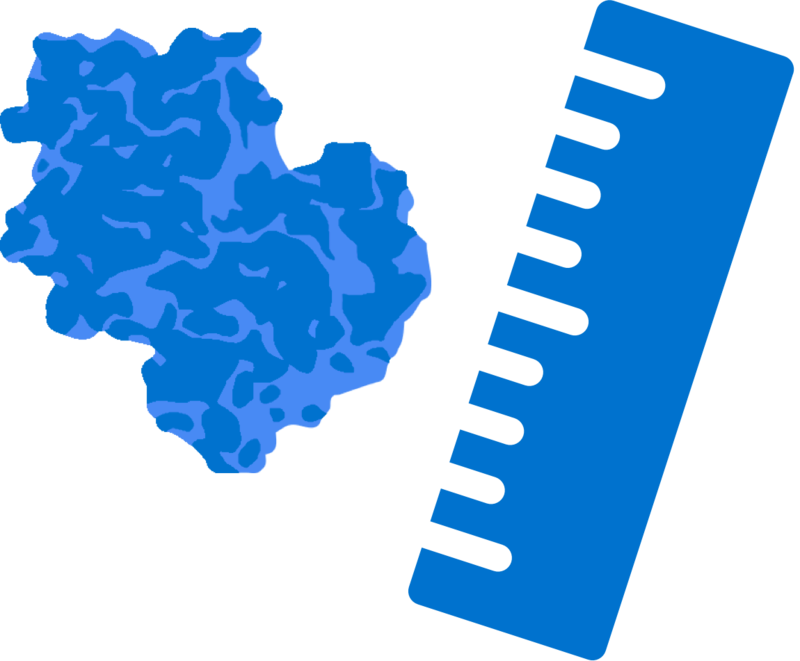 Measurement of an unknown sample, such as a semi-aggregated protein solution, can therefore be incorrect because the concentration is outside the working range for that particle size. Additives (and accidental contaminants) in your prep may themselves scatter light and contribute unknown influence on the result reported (in addition to changing your solvent viscosity and refractive index). A wide variety of species can scatter light and affect results, including detergent micelles, dust, some solvents, sugars and surfactants (4) (7). Even if the contribution of the species itself is known, there could be unexpected contaminants; one study found that even pharmaceutical grade sugars contained nanoparticles which limited the reliability of DLS results (8). Detergent solubilized membrane proteins exist as protein-detergent-complexes (PDCs), which exist in equilibrium with protein-free detergent micelles in solution. The interference from detergent micelles makes assessing monodispersity with DLS difficult, and calls into question its usefulness at all when working with membrane proteins (9). One study observed that the signal from detergent micelles completely swamped the signal from the molecule of interest, due to their higher density making them scatter light more efficiently (10). This difficulty extends to screening membrane protein preps for crystal growth. 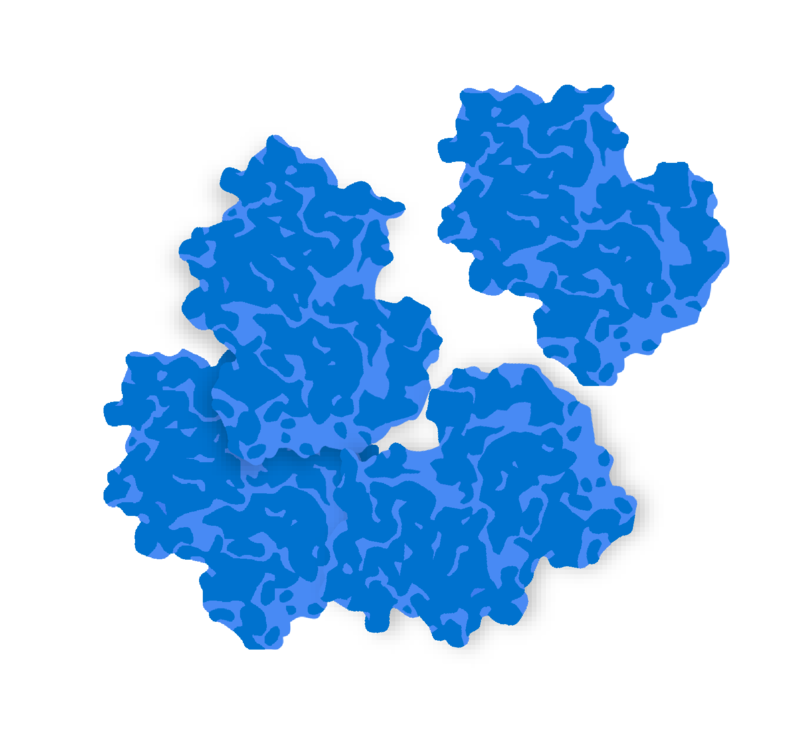 It is well known that membrane proteins are under-studied; they account for less than 1% of structures in the Protein Data Bank (11) despite representing 55% of drug targets (12). Preparing diffraction quality crystals for analysis is a major barrier preventing further work in this area (11). With a huge number of techniques available to isolate membrane proteins, identifying those which provide samples suitable for crystal growth would go some way to tackling this problem. It has been observed that DLS was unable to identify membrane protein preparations which were suitable for crystallization, likely due to the difference in response of PDCs compared to soluble proteins (9). The literature notes that without a clear picture of crystal growth mechanisms for membrane proteins, researchers are left to “arduous, expensive and risky” trial-and-error (13). With membrane proteins accounting for around 25% of all proteins at a genomic scale (14), this means a vast number of species cannot easily be characterized by DLS. As with any bioanalytical technique, having a solid understanding of the physical basis of the measurement is essential to predicting, understanding and mitigating drawbacks. While DLS can be a powerful and insightful technology, here we highlight seven potential drawbacks that users should keep in mind when working with this approach. Biases and complications caused by choice of buffer, additional excipients in the formulation, accidental contaminants, or co-solutes such as detergent micelles or lipids can all potentially impact results. Appropriate care should therefore always be taken when generating and using DLS-based size measurements, and ideally a comparison with an orthogonal technique not based on light scattering (such as analytical ultracentrifugation, AUC, or microfluidic diffusional sizing, MDS) would be used to build confidence. Protein analysis by dynamic light scattering: Methods and techniques for students. Bernard Lorber, Frédéric Fischer Marc Bailly Hervé Roy Daniel Kern. 6, s.l. : Laboratory Excercise, 2012, Vol. 40, pp. 372-382. Analyzing Subvisible Particles in Protein Drug Products: a Comparison of Dynamic Light Scattering (DLS) and Resonant Mass Measurement (RMM). Jainik Panchal, Joseph Kotarek, Ewa Marszal, and Elizabeth M. Topp. 3, s.l. : The AAPS Journal, 2014, Vol. 16, pp. 440-451. Is Any Measurement Method Optimal for All Aggregate Sizes and Types? JS, Philo. 3, s.l. : AAPS, 2006, Vol. 8, pp. 564-571. Taylor Dispersion Analysis Compared to Dynamic Light Scattering for the Size Analysis of Therapeutic Peptides and Proteins and Their Aggregates. Andrea Hawe, Wendy L. Hulse, Wim Jiskoot, Robert T. Forbes. 9, s.l. : Pharmaceutical Research, 2011, Vol. 28, pp. 2302-2310. DLS and zeta potential - What they are and what they are not? Bhattacharjee, Sourav. s.l. : Journal of Controlled Release, 2016, Vol. 235, pp. 337-351. Protein Particulate Detection Issues in Biotherapeutics Development—Current Status. Das, Tapan K. 2, s.l. : AAPS Pharmaceutical Science Technologies, 2012, Vol. 13, pp. 732-746. Membrane protein structural biology: the high throughput challenge. Loll, Patrick J. 1, s.l. : Journal of Structural Biology, 2003, Vol. 142, pp. 144-153. Nanoparticulate Impurities in Pharmaceutical-Grade Sugars and their Interference with Light Scattering-Based Analysis of Protein Formulations. Daniel Weinbuch, Jason K. Cheung, Jurgen Ketelaars, Vasco Filipe, Andrea Hawe, John den Engelsman, Wim Jiskoot. 7, s.l. : Pharmaceutical Research, 2015, Vol. 32, pp. 2419-2427. The use of blue native PAGE in the evaluation of membrane protein aggregation states for crystallization. Ma J, Xia D. 41, s.l. : Journal of Applied Crystallography, 2008, Vol. 1, pp. 1150-1160. Effects of PEG on detergent micelles: implications for the crystallization of integral membrane proteins. Loll, Carl Hitscherich Jr Vladimir Aseyev John Wiencek Patrick J. 7, s.l. : Acta Crystallographica Section D - Structural Biology, 2001, Vol. 57, pp. 1020-1029. Membrane proteins, lipids and detergents: not just a soap opera. Annela M.Seddon, Paul Curnow, Paula J.Booth. 1-2, s.l. : Biochimica et Biophysica Acta - Biomembranes, 2004, Vol. 1666, pp. 105-117. Challenges in the Development of Functional Assays of Membrane Proteins. Louis Tiefenauer, Sophie Demarche. 11, s.l. : Materials (Basel), 2012, Vol. 5, pp. 2205-2242. Static light scattering studies of OmpF porin: implications for integral membrane protein crystallization. Hitscherich C Jr, Kaplan J, Allaman M, Wiencek J, Loll PJ. 8, s.l. : Protein Science, 2000, Vol. 9, pp. 1559-1566. Transmembrane proteins in the Protein Data Bank: identification and classification. Gábor E. Tusnády, Zsuzsanna Dosztányi, István Simon. 17, s.l. : Bioinformatics, 2004, Vol. 20, pp. 2964-2972.